CHICAGO -- Over the past several weeks, the Chicago Bulls have managed to avoid having to deal with and defend an opponent's top player. They won't have that luxury Wednesday when the Toronto Raptors and DeMar DeRozan visit the United Center. DeRozan is coming off a franchise-best, 52-point performance Monday when the Raptors knocked off the Milwaukee Bucks in overtime. DeRozan connected on five 3-point field goals as Toronto (25-10) won for the eighth time in its past 10 games. DeRozan also had eight assists and five rebounds as the Raptors followed up a successful December during which they went 11-3. Toronto will play its next three games on the road and will look to win its third straight game Wednesday against the Bulls, who have lost two straight after dropping a 124-120 overtime decision Monday against the Portland Trail Blazers. Now, Chicago (13-24) must contend with DeRozan, whose impressive performance against the Bucks included shooting 5 for 9 from 3-point range -- territory that many insisted wasn't part of DeRozan's offensive arsenal. "You know I think I'm past that now, listening to what everyone else says because I know what I work on and how often I work on it," DeRozan told reporters Monday, according to the Globe and Mail. "Every single night when we don't play I'm in the gym working on my game, working on things. It was just a matter of me just doing it. Understanding it was something added and not something that was holding me back from the other things I am good at." In recent victories, Chicago met the Indiana Pacers without Victor Oladipo, the Philadelphia 76ers missing Joel Embiid and the Boston Celtics minus Kyrie Irving. The Bulls will enter Wednesday's game attempting to overcome a pair of losses in which they couldn't finish games when it mattered most. After a four-point loss Sunday against Washington when the Wizards scored the final seven points, Chicago again lost by four against Portland and again blew a lead in the final minute with the Trail Blazers playing without leading scorer Damian Lillard. While the Bulls have found ways to close games out during a recent run of success, they suddenly find themselves turning the ball over at critical times and failing to hit the kind of clutch shots that had led to victories. "It's disappointing," Bulls guard Kris Dunn told reporters Monday, according to the Chicago Tribune. "When it comes to winning close games, we've done it before." 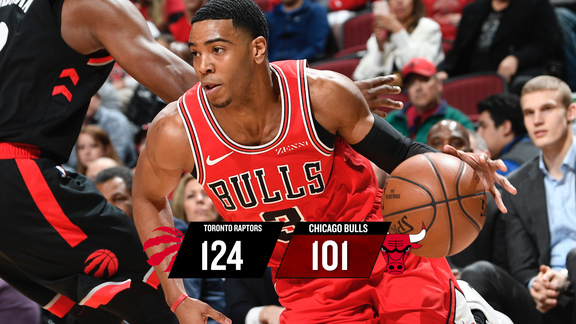 The Bulls will attempt to rediscover their winning ways against the Raptors, who will enter Wednesday's game at full strength. Although Chicago has shown vast improvement from its 3-20 start, it will have to face one of the Eastern Conference's top teams that isn't showing any signs of slowing down. And if the Bulls hope to keep moving in the positive direction they've been moving in of late, they will have to again find ways to close out potential victories when they have the chance. 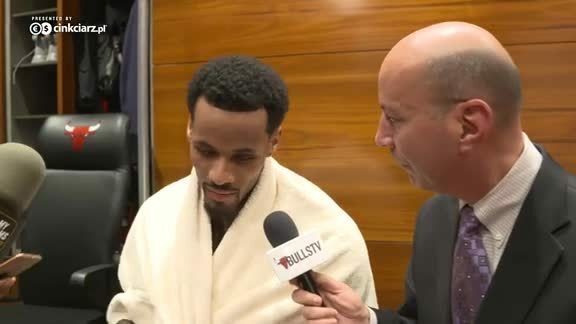 "It's tough, it hurts," Bulls coach Fred Hoiberg told reporters after Monday's loss. "When you do have some success closing out close games, the last two nights we haven't done it. We have not gotten the job done. It hurts, it stings. Especially after having seven in a row where we did close out a lot of those close games. "We've got to learn throughout the season, throughout these close games. Which I give our guys a lot of credit for bouncing back after a really tough stretch to close a lot of close games. Now we've got to get it back."